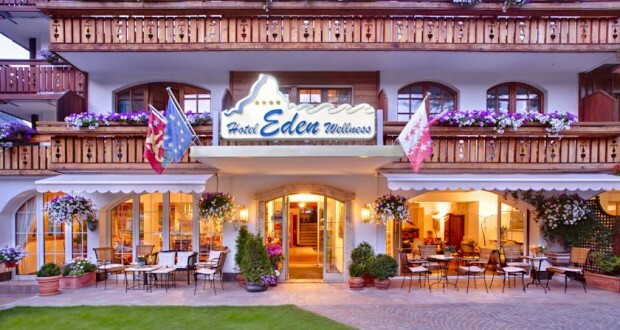 Hotel Eden is a 5-minute walk from Zermatt’s famous Bahnhofstrasse. It offers Matterhorn views and a spa area with indoor pool. Guests benefit from the sunbathing lawn and free internet. Spa facilities include a jacuzzi, a relaxation area and various treatments and massages. There is a sauna, steam bath and a dream shower available. You can reach the cable cars and lifts within a 10-minute walk or by ski bus in 2 minutes. Between 8 a.m. and 7 p.m. a free shuttle service from and to the train station or taxi stand is offered upon arrival and departure. Free Wi-Fi is available in the entire hotel and there is also an internet corner available for the free use of all guests. The Hotel Eden also features a bar with an open fireplace, a winter garden and a garden terrace. Breakfast is served until 11 a.m.